In this review I will only review the last 3 books of The Mortal Instruments series, for my review of the first three check it out here. I did notice these books were of worse quality than the first three in the series. Which is why my rating is much lower than for the first three books. I give The Mortal Instruments Series book 4-6 by Cassandra Clare three out of five hearts, because the quality was much lower than the first three novels. They felt rushed and not very well written. I had been afraid of this from the moment they came out and put of reading them until I really wanted to finish this series. I actually read The Tales from the Shadowhunter Academy earlier than these, that’s how afraid I was for these books. It’s not like I didn’t like them, I give books 4 and 5 three hearts and book 6 even four stars. But they weren’t of the same quality. I felt the events of all three books could have been combined into one or two books instead of prolonging it over three. The quality was worse and romances were unnecessarily broken up. 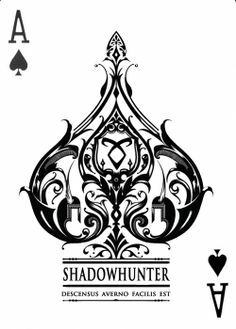 From most of these book I got the feeling Cassandra Clare was pumping out more books within her Shadowhunters universe just to make some more money in case her Infernal Devices series would be a flop. Because the first three books of the Mortal Instruments were great and she knew new books with the same character would sell without much effort, so she didn’t put much effort in and the Infernal Devices was the same kind of story, same universe, but completely different time period which had to be worked out well. I really liked The Infernal Devices whereas I didn’t like the end of The Mortal Instruments. I wish Cassie had focused completely on The Infernal Devices and let The Mortal Instruments rest. This entry was posted in Book Review and tagged Book Review, Cassandra Clare, Fantasy, Romance. Bookmark the permalink.